• Brush the bottom of pan with oil. This will glaze the pan so that milk does not stick or burn while boiling. (Milk can be boiled in microwave also). • Pour milk in a pan. • Bring milk to boil at medium heat. • As milk starts boiling, add vinegar or lemon juice slowly and keep on stirring. • Keep on adding vinegar slowly until milk starts curdling (do not add lemon juice or vinegar quickly or abruptly). • Stir gently until curd separates from whey. • Let curd separate totally from greenish liquid whey. 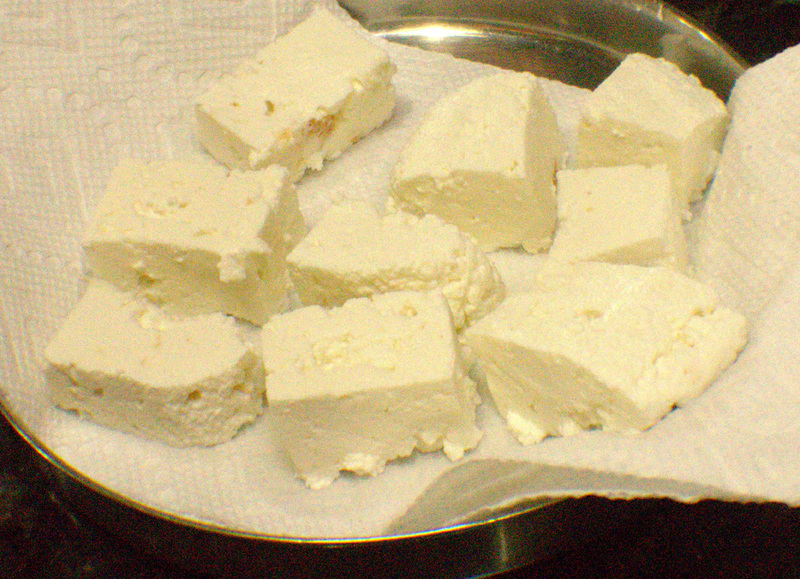 • Strain whey and pour off the curdled paneer on cheesecloth or stainless steel fine strainer. • After all the water is strained, transfer paneer to a round shaped pan, cover with place and put weight on it to get the shape. 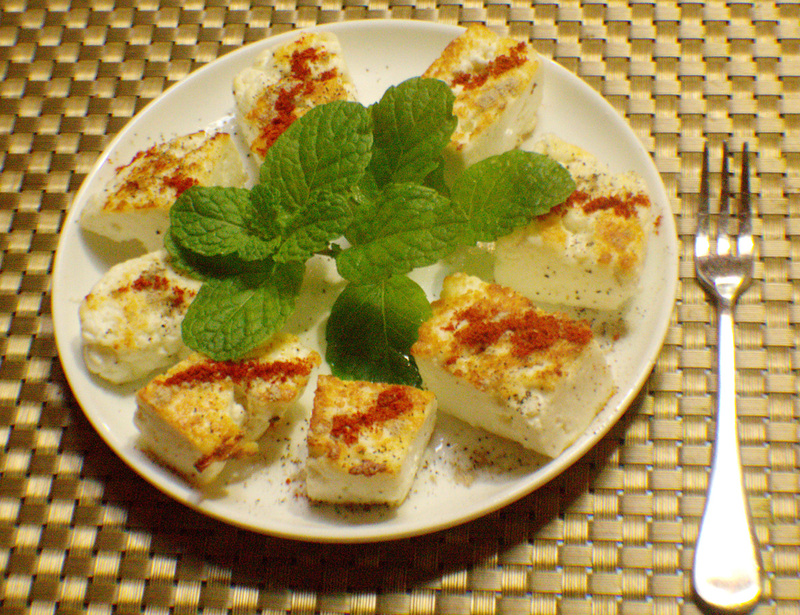 • Remove the weight and let paneer cool in refrigerator. • After 10 minutes paneer is ready. Now it can be cut into desired shape. 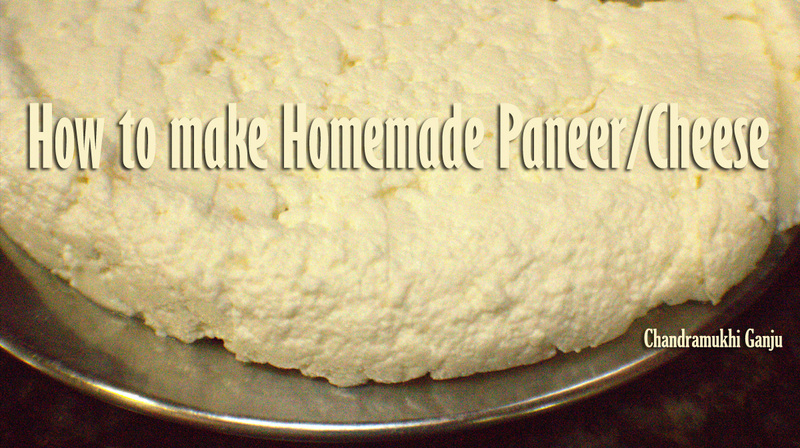 • Homemade paneer is ready to cook or fry. Chandraji, Your features are always awaited. Koshur Saal, your book has been a landmark event in the documentation of Kashmiri recipes. Thanks for providing this recipe in an easy to do method. Video presentation makes it even better. Please keep producing more and more of such recipes.